Certain ingredients in cleaning products can present toxicity to aquatic species in waters receiving inadequately treated wastes. For example, alkylphenol ethoxylates, a common surfactant ingredient in cleaners, have been shown in laboratory studies to function as an “endocrine disrupter,” causing adverse reproductive effects of the types seen in wildlife exposed to polluted waters. Ingredients containing phosphorus or nitrogen can contribute to nutrient-loading in water bodies, leading to adverse effects on water quality. Volatile organic compounds (VOC) in cleaning products can contribute to smog formation in outdoor air. 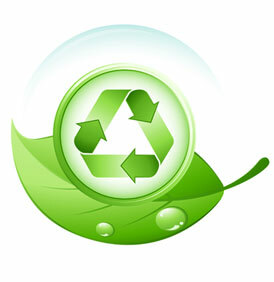 During green cleaning we exclusively use non-toxic, natural and eco friendly cleaning products. Green Leaf Services provides these products for free!